Omega Optical always appreciates feedback from our valued patients. To date, we’re thrilled to have collected 64 reviews with an average rating of 4.89 out of 5 stars. Please read what others are saying about Omega Optical below, and as always, we would love to collect your feedback. Excellent service from top to bottom. The staff is warm and friendly and totally prepared to meet my needs for optical wear and care. This will be my business for all my and my families optical needs for years to come. The owner Tracie run a fabulous business. 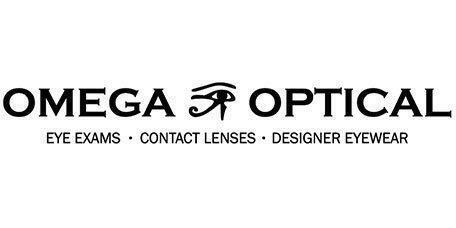 And yes, I recommend Omega Optical to anyone wants professional and courteous service. Thank you!! Everyone was so friendly and I was in and out in 20 minutes and back to work. Would recommend! Very calm and organized environment. The staffs were courteous and professional in addressing each client's needs, and they were knowledgeable in their profession in the ability to answer questions pertaining to insurance coverage. Conveniently located, efficient, and overall a very positive experience! Very welcoming and professional. Great product choice as well. I highly recommend Omega Optical. In fact, I already told my husband and two co-workers they need to go! Everything about it was perfect! From the front office staff to Dr. Wu - I could not have asked for a better experience. Extremely friendly staff, felt very comfortable. Fast service! This was an incredible experience. I had trouble with my insurance & the front desk person called them right away. When we couldn't solve the issue, they provided me with a great rate since I was paying out of pocket. The Dr. was professional, responsible, worked efficiently, and explained everything clearly. I didn't feel rushed at all. Everything was clean and tidy. And, I trusted the service I was provided. A great experience. Everyone was very nice and I would suggest them to anyone. Great experience. Friendly Helpful staff. My experience at Omega Optical was very pleasant. My appointment took place on time and the staff was very helpful. I would definitely recommend their services to others. We also accept Flex Spending. Please call the office for any questions regarding insurance.